Our Hybrid inks are a unique blend of ballpoint and gel inks*. 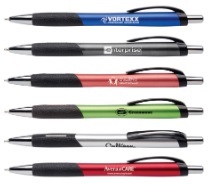 They combine the durability of ballpoint ink with the smoothness of gel. The pen glides effortlessly across the paper due to a higher ink laydown and premium tip design. Hybrid inks resist smearing, clumping, leaking, and don't bleed through the paper. 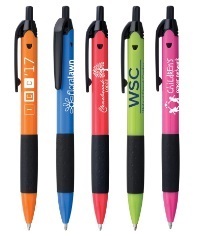 Engraved or imprinted with your information, these pens are the perfect vehicle to carry your message to your clientele. Pens that look this good and write this well, will be kept for a long time. They will be used by your customers every day. Several times a day your message will be seen and appreciated. Then, just like us, you'll be saying "our customers love our pens". 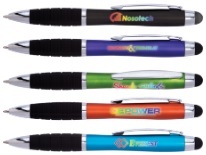 *Select pens have MaxGlide Ink, Anti-Fraud Ink, or Gel Ink. What? 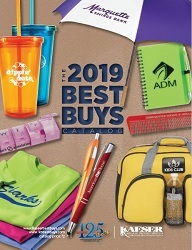 The pen you want isn't on sale? Take 20% off any pen that isn't already on sale! 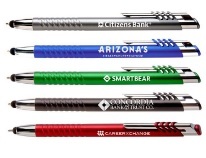 The original classic Javalina pen is now available in nearly 75 color combinations. Still our most popular pen. Available in over 40 colors and configurations. Available in metal or plastic. 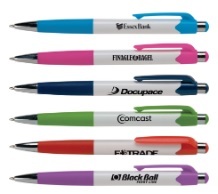 Our stylus pens help your clients stay connected. Illuminated logos and mini flashlights. 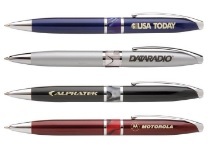 These pens always get noticed.